Dear readers: I want to take a minute to talk about our Chef April Salinas. I’d love it if you would all say a prayer or give a positive thought for her and her family. There is a very serious life ending illness going on in her family and she’s sad and overwhelmed. She will continue to contribute posts to the blog as she can, but she will be fitting it in amongst caring for her loved one at this horrible time. Cooking is indeed one of her passions and talents she is sad that it has to take a backseat to other things right now. I hope you will all understand and continue to support her and our blog. I will be posting the occassional recipe of my own in her absence, but this will always be her space… and it will be ready for her any time she is ready. 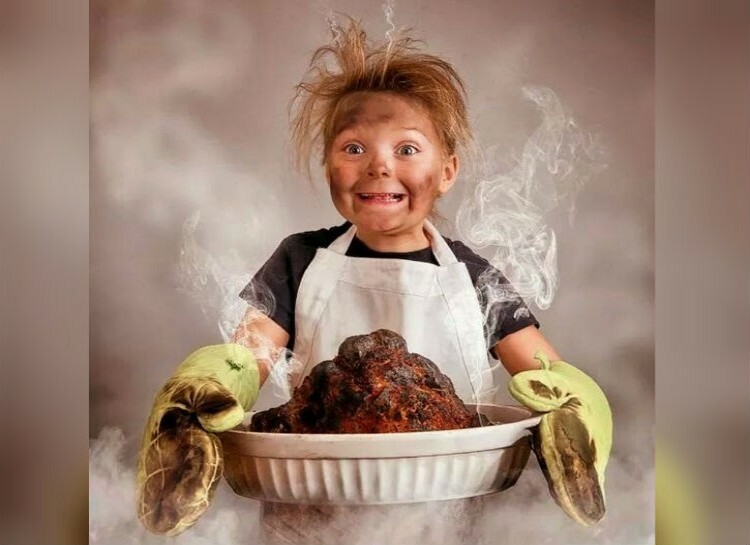 We all have “that friend” who can’t cook right? The one that can burn water and has the ruined pot to prove it! Mine shall remain anonymous but she knows who she is. Every year I worry about her poor family during the holidays that they will either starve or that they will get food poisoning. Don’t laugh, the struggle is real in her house! I’d invite them to my house, but they live across the country. So I try my hardest to come up with super easy foolproof recipes that she can make and not kill anyone. 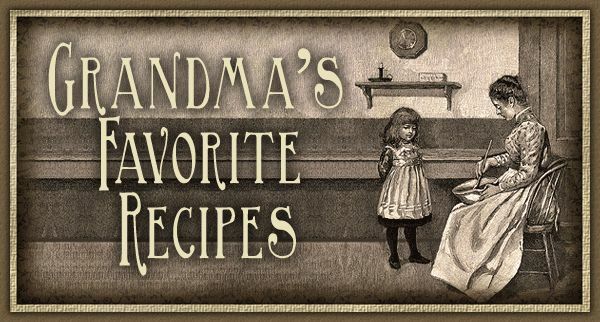 This year when I was trying to come up with an easy recipe to teach my friend it brought to mind a very special recipe that my grandmother used to make for both Christmas and Thanksgiving. I still make it nearly every year for my family. It is SO easy, plus, it has the added bonus of being adaptable that you can use it for nearly anyone. 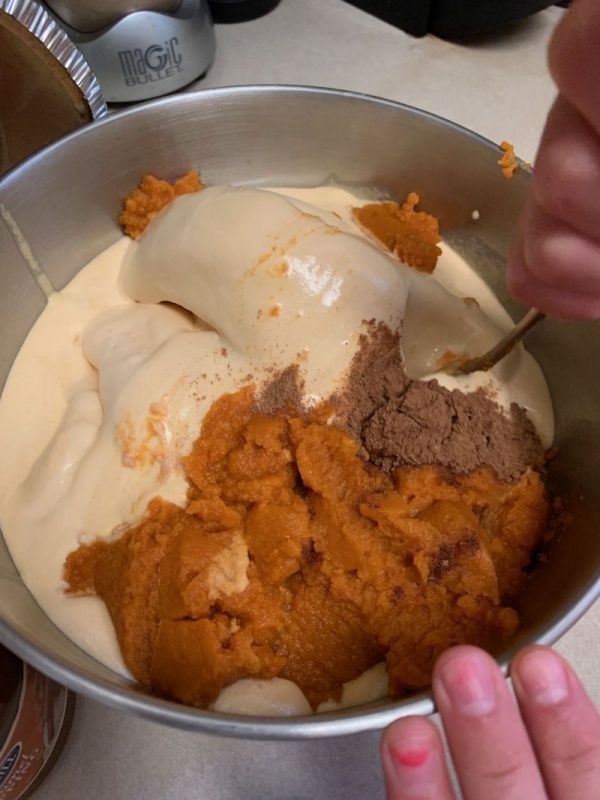 The recipe is frozen pumpkin pie. When I say frozen pumpkin pie I don’t mean something that comes in a box made by Marie Callendar’s. No, I am talking about a semi-homemade ice cream pie of goodness. What makes this pie flexible? It can be made for just about every single dietary consideration. Gluten-free, sugar-free, dairy free, vegan, organic, low fat, low carb, full fat, or loads of everything. Thankfully, it all tastes great. 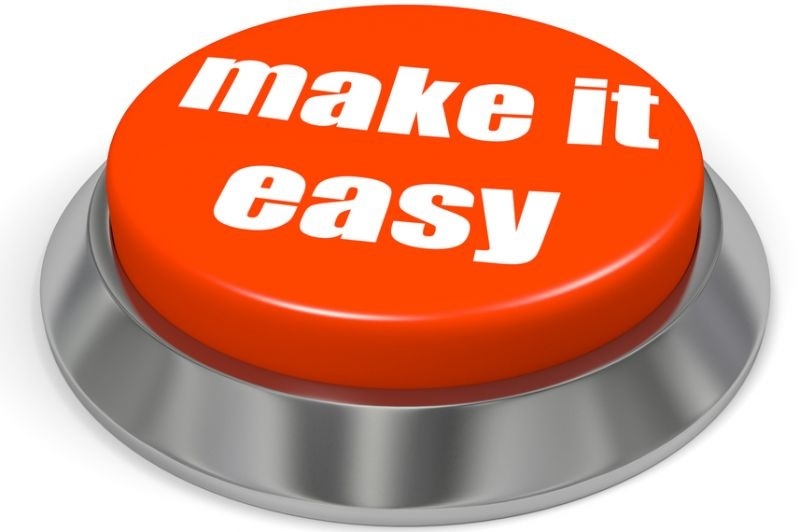 Did I mention that it is easy too? You truly can’t mess this up! Well…… I’m sure you can if you try hard enough. Let me start off with the full recipe and then I’ll explain the flexible options and how you can make it. 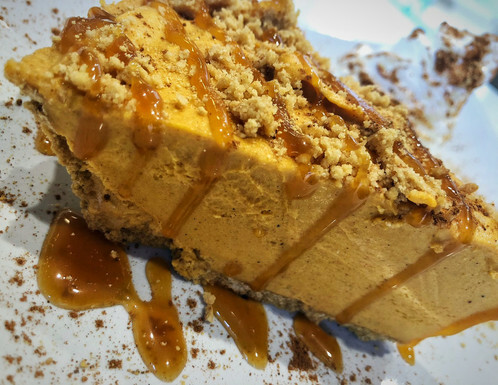 Graham Cracker pre-made pie crust – or Ginger Snap Crust (totally optional for either) You can opt to use neither – just spray your pie tin with butter or oil before putting the ice cream mixture in. 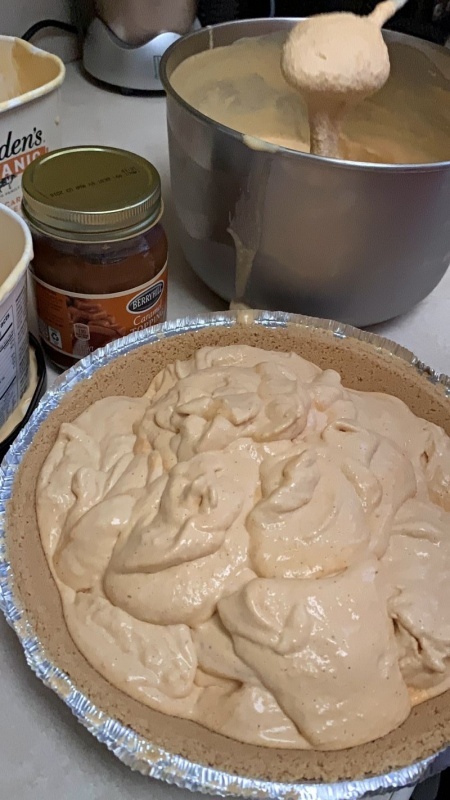 1/2 gallon of one of these types of ice cream: Butter Pecan, Pecan Praline, Salted Carmel, English toffee, Bourbon Pecan, Caramel ribbon, or just plain vanilla. You will get the best flavor out of the first few choices but plain vanilla does work in a pinch. All of these ice creams come in gluten free, dairy free, low carb, low fat, organic, sugar-free options. Just remember the better quality the ice cream – the better the flavor. 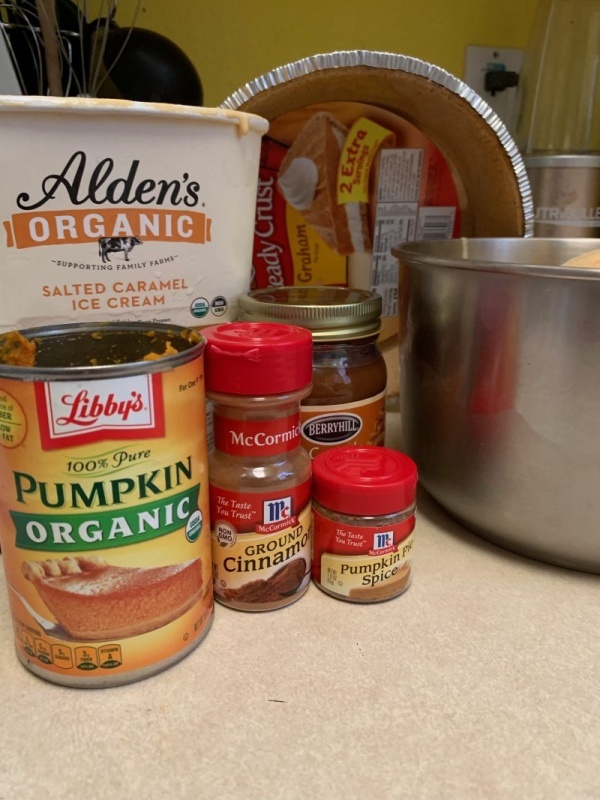 1 15 oz can of Libby’s canned pumpkin (you can also use organic pumpkin puree.) Do not use Pumpkin Pie filling. Softened not melted ice cream.. 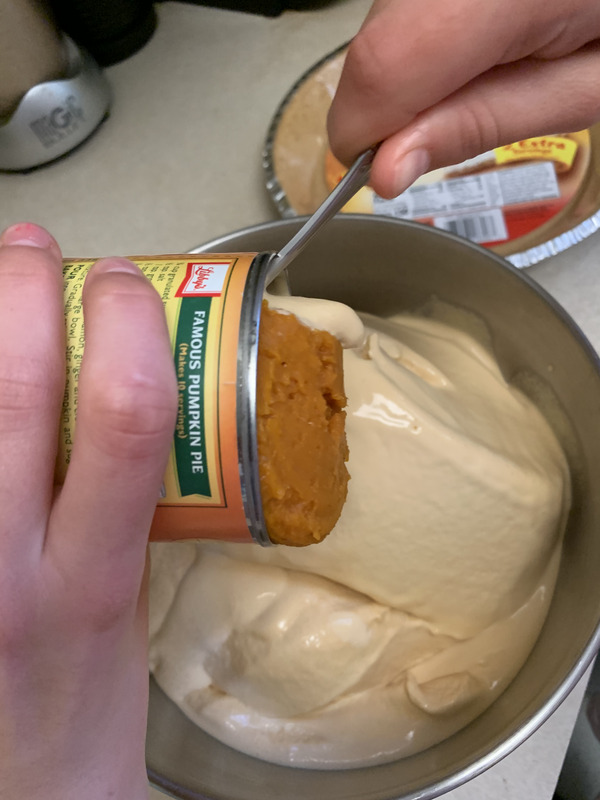 Soften ice cream and mix in canned pumpkin and spices to taste. Mix well. Pour into prepared pie crust or into a plain pie plate that has been prepared with a neutrally flavored cooking oil spray. It should be the consistency of soft serve ice cream. 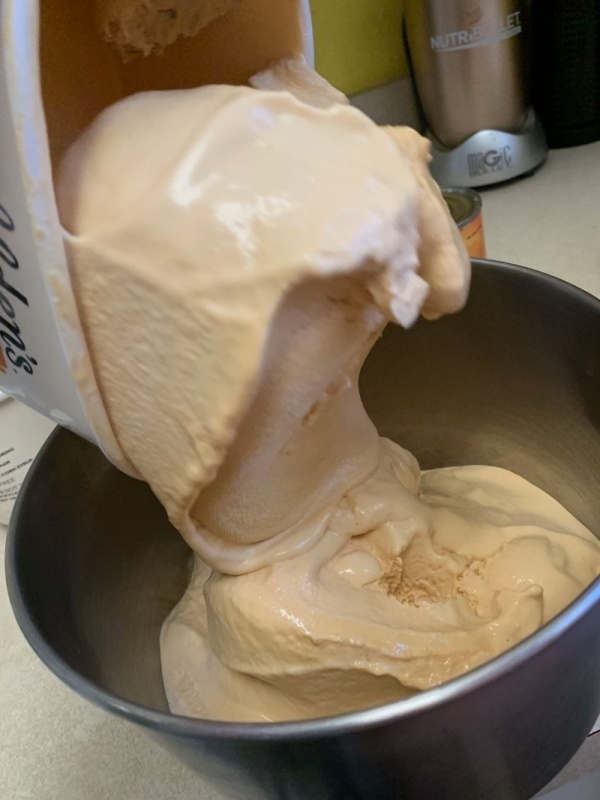 The consistency of the ice cream when mixed should be of soft serve ice cream and not melted mush. It will be firm and creamy. Fill the prepared pie crust with the mixture. Spread the ice cream nicely in the pie and return it to the freezer to set. It will take about 4 hours. Decorate and put into the freezer to set. If you want to get fancy, cover it with whipped cream, cool whip, or desired whipped topping alternative. It tastes great without too if you are trying to save the calories. When ready to serve, take out of the freezer and let sit for a few minutes till it is easy to slice. Run your knife under hot water to make slicing easier. Serve on a plate or in a bowl and finish off with nuts or caramel sauce. *tip* Although you might see Pumpkin Pie flavored ice cream in the grocery store skip over that. It has a “fake” flavor that just isn’t as good. 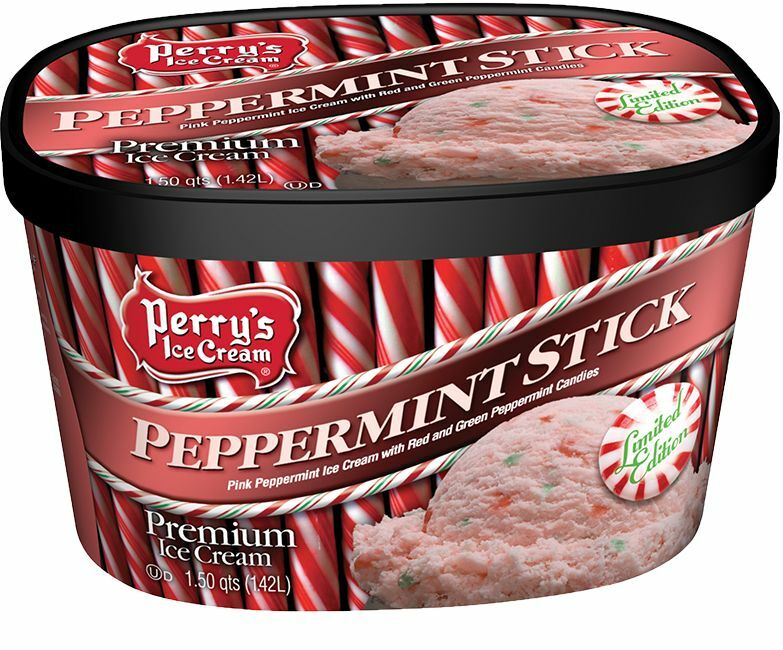 Peppermint stick ice cream on a chocolate oreo crust and hot fudge… oh my! You think that is it don’t you? Oh, no.. do I have more for you! You can make endless combinations of Ice Cream pie using this idea. Use an Oreo crust with peppermint ice cream and hot fudge sauce for Christmas. 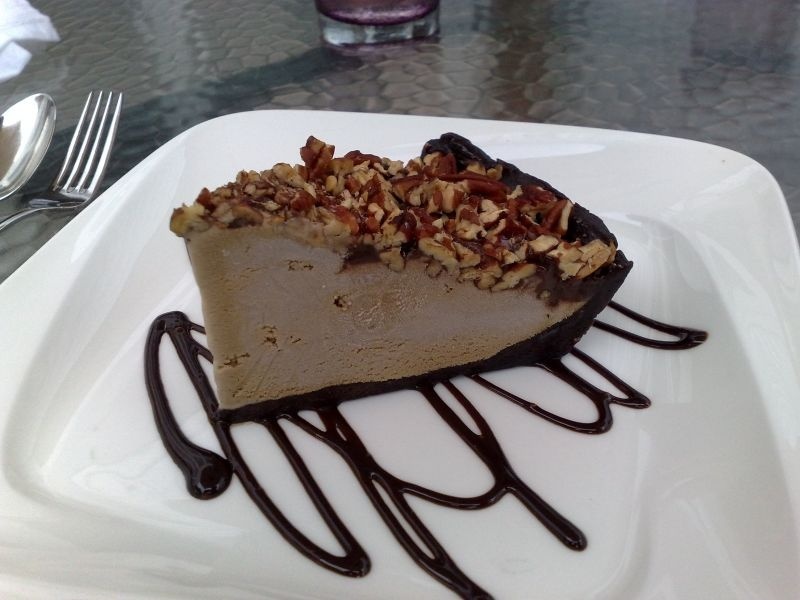 One of my personal favorites: Missippi Mud Pie. You could do mint chip, or fresh strawberry, or coffee flavored. Just leave it up to your imagination the endless amounts of flavored ice creams, crusts, and toppings you can use. Just about any basic cookie can be made into a cookie crust. You can do shortbread, or lemon, or peanut butter. All of them would taste delicious. Make your own by just crushing the cookies and adding a bit of melted butter or nondairy butter alternative. 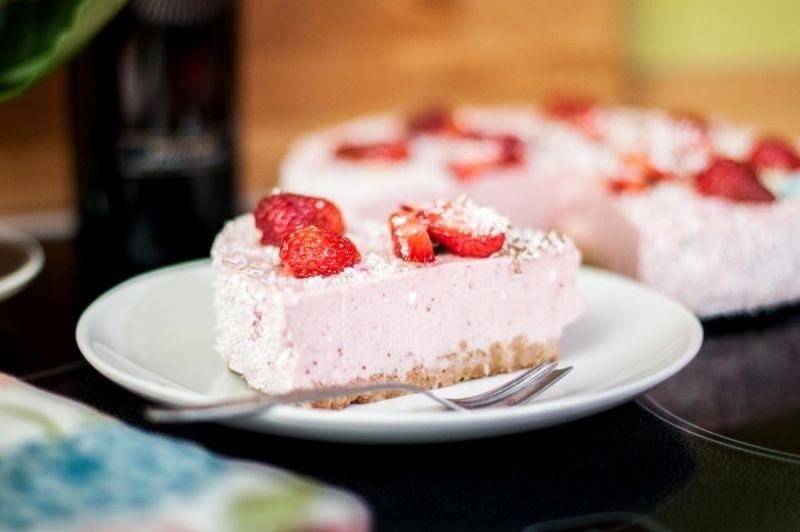 Sometimes strawberry and cream hits the spot! 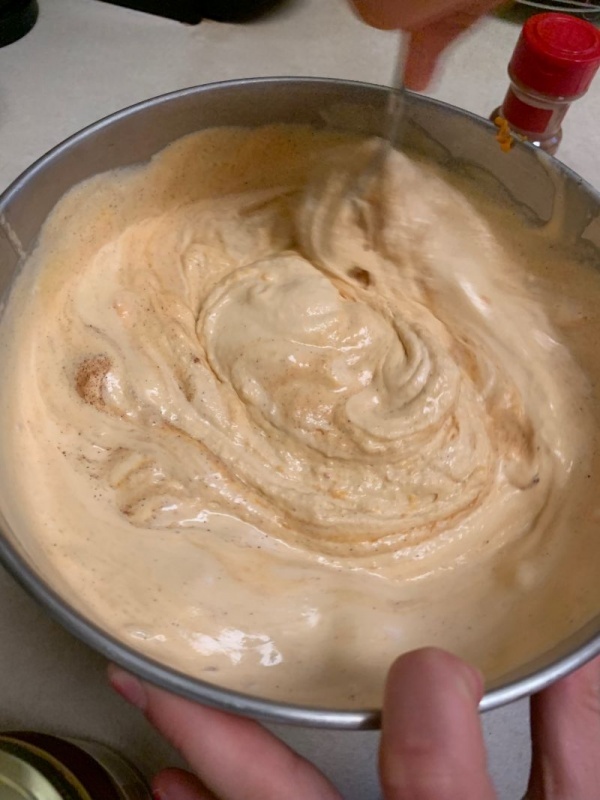 You can make your own ice cream too… but this recipe is written for those culinarily challenged folks who can’t actually cook. 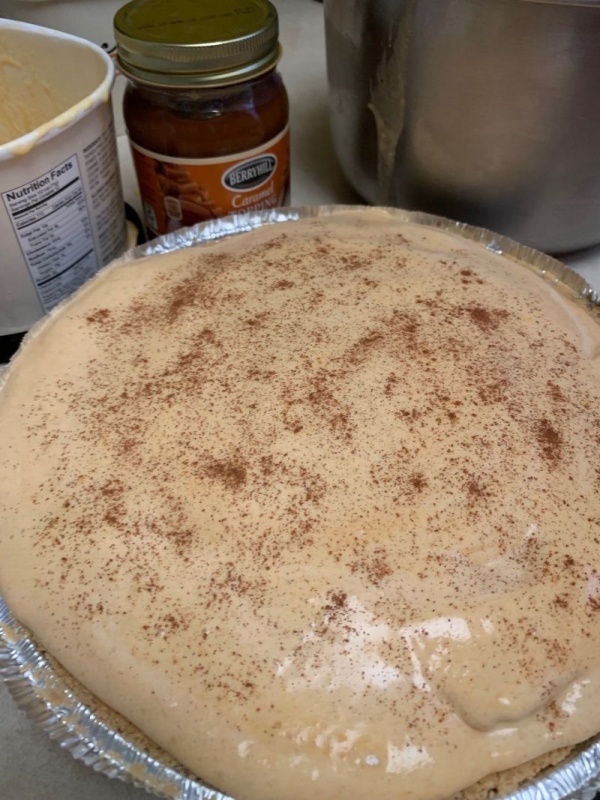 As for the pictures for this post… they come from my friend who can’t cook. She and her daughter made this recipe and they said it was awesome. Smiles all around! Holiday saved! Are you looking for more recipes for the holiday season? Check out our Pumpkin Creme Brulee or our Easy Maple Pecan Sweet Potatoes. I am all for making yummy stuff easy!! !